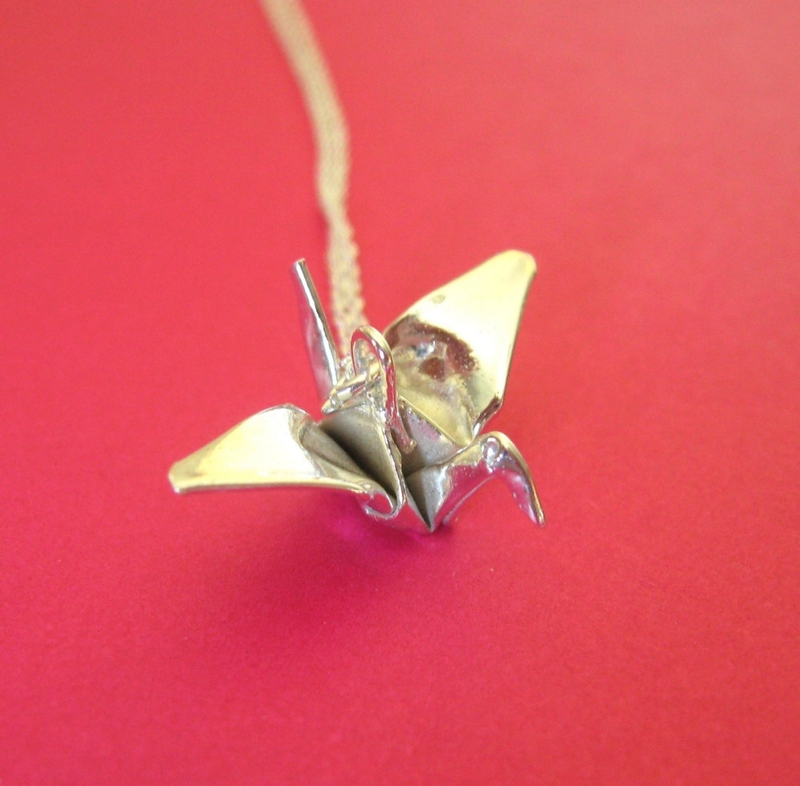 The crane, or "tsuru" is a classic origami design, unchanged for centuries. Its often the first animal many folders learn, and is considered a symbol of good luck and wishes granted. Paper cranes are given to people who are sick to wish them a good recovery, or left at cemetaries or memorials as a wish for peace. 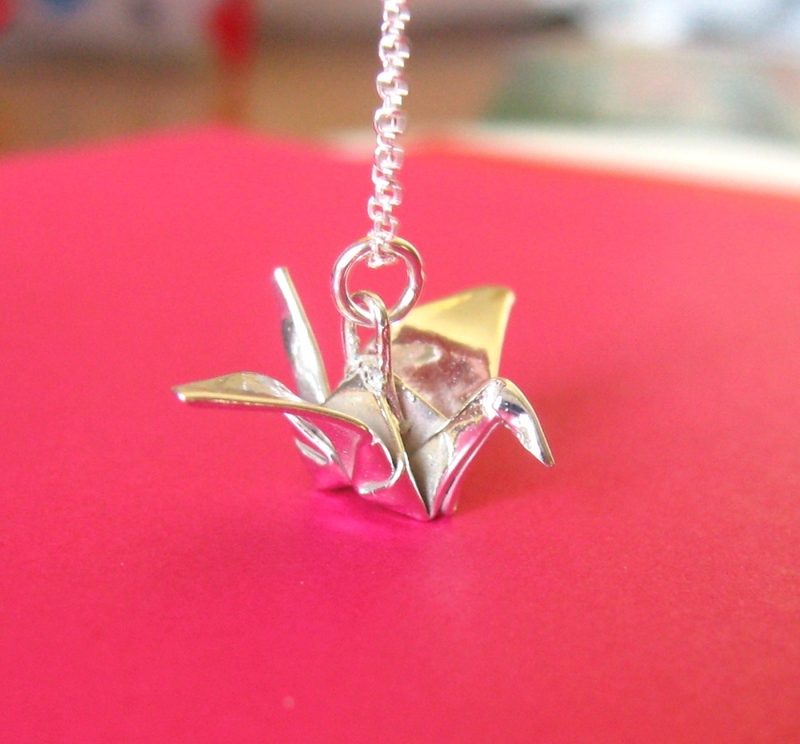 This crane pendant is true origami, folded from a sheet of fine silver. An origami crane starts with a square piece of paper, and has only 16 folds. Now imagine starting with a sheet of silver only 1 1/2 inches across, and you get this little piece of art. 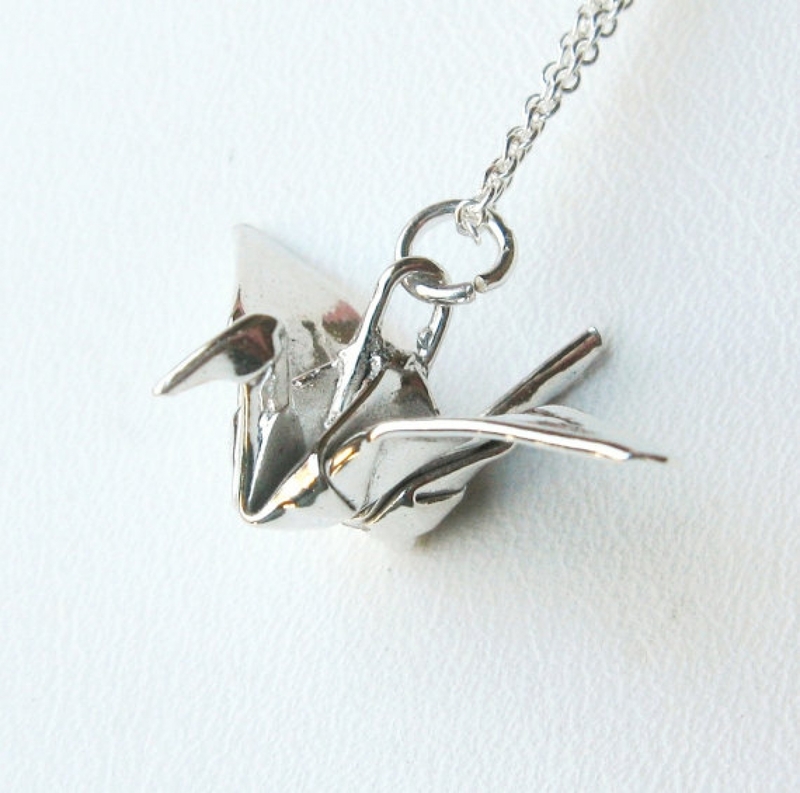 This crane is carefully folded from .999 fine silver, kiln fired, and highly polished. Its just barely 1 inch wide from wingtip to wingtip, or from nose to tail. This is soldered to a fine silver wire and ring. Comes complete with a fine link 18 inch (45.7cm) sterling silver chain. Ships in a tissue lined jewelry box, suitiable for gifting.